Want to try great apps without hurting your wallet? We’ve selected 25 iPhone, iPad and iPod touch apps that are now free. 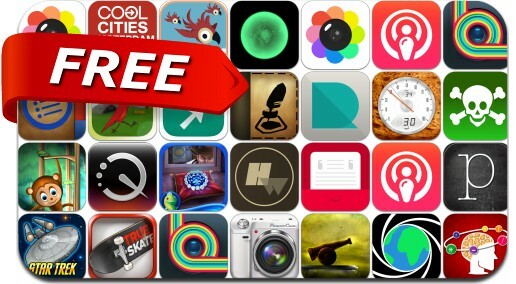 This apps gone free alert includes Star Trek Trexels, Scanbot, True Skate, Kotoro, PowerCam, Speedometer+, Tiny Planet Photos, PodCruncher, Hollow Words, Hidden Expedition, Awesome Lists, Roasty Bird and many others. Roasty Bird - multiplayer finally here! Poisoning: First Aid for Children!